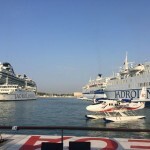 American Tracy Ellen Zedeck who has been captain of one year in this summer arrived to the Croatian European Costal Airlines from Maldivian Islands. We asked about her seaplane pilot’s career in writing. When and why did you get seaplane pilot? In 2009 I was in Talkeetna, Alaska flying mountain climbers and tourists onto the glaciers of Denali as a summer job. At the end of the season I wanted to have some fun and try a different type of flying. And so, I took my first seaplane lesson! 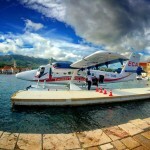 After a few hours splashing from lake to lake, I passed my seaplane checkride. It was the most fun I’ve ever had flying. 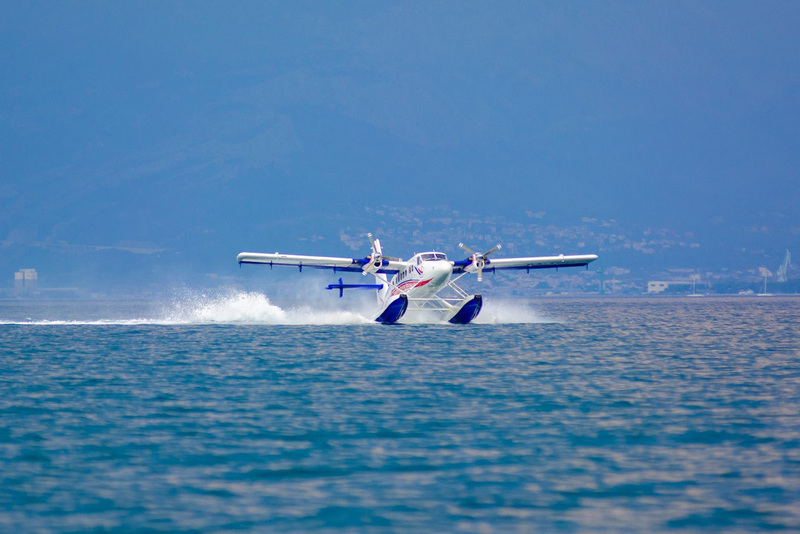 What seaplanes flew you so far? Where you flew before? I received my single-engine seaplane rating in a Piper Pacer. I got my multi-engine seaplane rating in a Beech 18. I’ve only flown the Twin Otter for commercial seaplane operations. Other aircraft I have flown for commercial land operations are the Piper Pawnee, Cessna 185, and the Piper Cherokee 6. I’ve flown in Colorado, Alaska, California, and the Maldives. 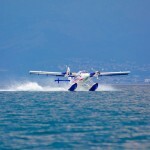 Whether it was true that the pilots have led barefoot seaplanes? 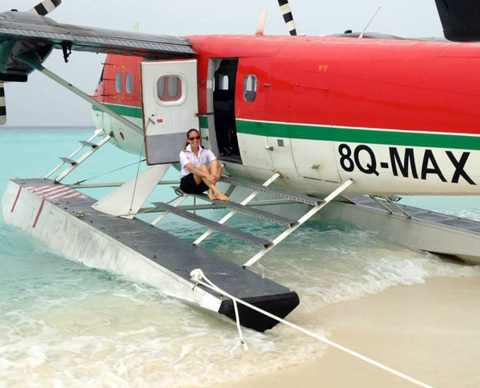 The pilots in the Maldives are called barefoot pilots because it’s simply too hot to wear shoes! Plus, we’re in a working environment where it’s likely our feet will get wet and will be in the sand. So barefoot makes sense and it’s fantastic! There’s nothing much better than hopping out of your airplane to dip your feet right away into the cool ocean water. Where and when did you become a captain? How different from the left seat as captains fly? 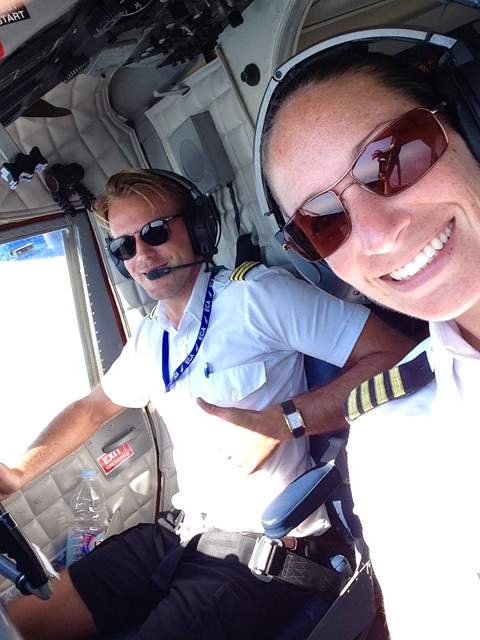 I flew seaplanes in the Maldives, which is where I became a Captain in 2014. The only difference as a Captain is that the overall flight decisions and responsibility are mine. 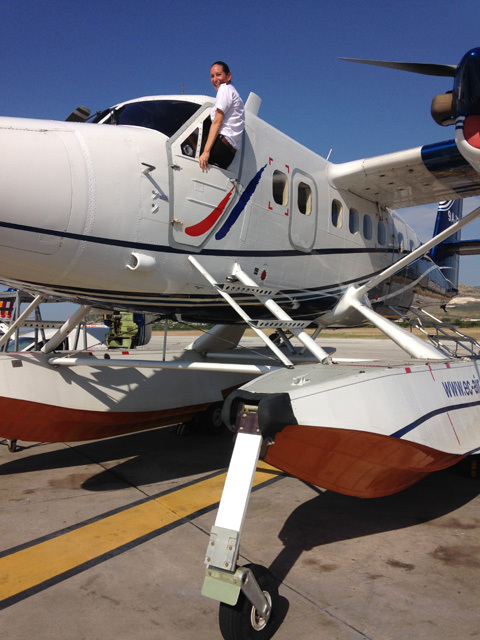 Why did you choose the Europan Coastal Airlines? 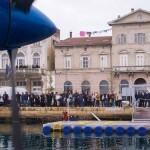 What are the first experiences and what the Adriatic Sea to fly? I came to ECA this summer. 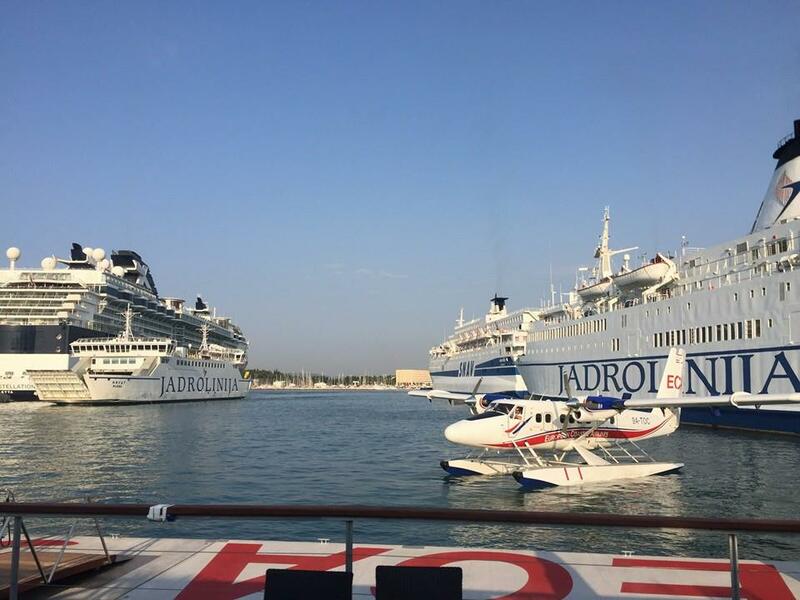 I love traveling, experiencing different cultures, and my office view of the Adriatic Sea is a phenomenal bonus! I like meeting new people and sharing my passion for flying – the 15-17 passenger Twin Otter Seaplane allows me to do this. 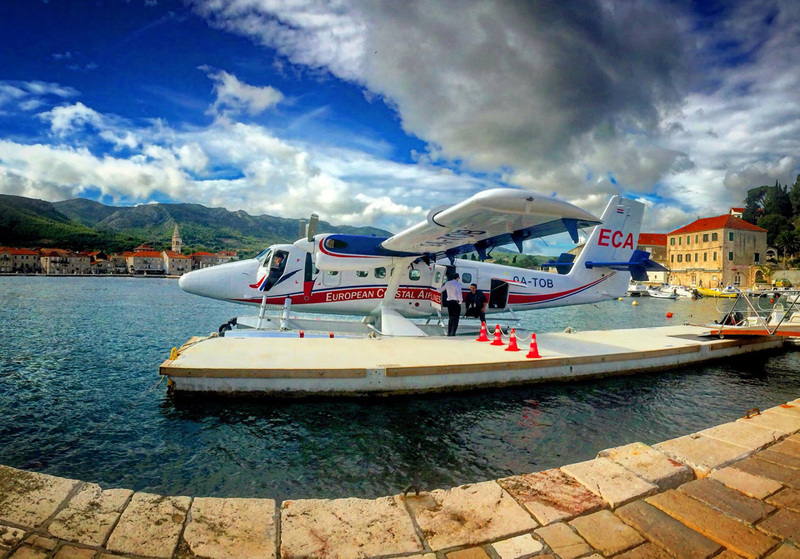 I feel really lucky to have lived here and to have flown the beautiful Croatian skies. Did you fly past an entirely female crew where the captain, first officer and flight attendant was a woman? We know that you are’nt the first female captain of ECA. I have flown with female Captains when I was a first officer. I have yet to fly with a female first officer as Captain, but I am greatly looking forward to it. I am the second female Captain hired by ECA There was one female Captain and one female First Officer already at ECA when I arrived. Everyone has welcomed me and treated me as a pilot. I really love my job. it’s ok, she can be Canadian if she wants to be 🙂 we’re sort of like cousins that way. I met Tracy in Maldives and again this past summer at ECA. good to see her doing good. Well done Tracy. My first seaplane was also a Tripacer. All I ever warned to do was fly seaplanes, retired now after 27,000 hours, nearly half of which was on seaplanes and Amphibs. My recent book ‘A Deviation from the Norm’ tells the story, I figured I had too many good stories not to share them. Check my website adeviationfromthenorm.nz for details, available as an eBook on AmazonKindle. Madame Zedeck , i admire you greatly . You have achieved my dream , flying seaplanes , which i cannot because of my disease Tinnitus . Happiness is not only being lucky , but also realizing that one is .